My name is Lucie Sheridan and I am an illustrator/printmaker based in Bristol, UK. I produce artworks for the inner child! Bright colourful and often playful screen prints and illustrations. What graduate program did you choose and what do you think about it today: is it a good way to develop your skills in the discipline? I studied BA hons illustration at U.W.E Bristol, and graduated in 2003. It was a fantastic time to devote to drawing and finding my own voice as an illustrator. Previous to that I studied an art foundation at Kingston University, which was also very enjoyable, that year taught me a pace and a discipline the most. What is the main audience of your screen printing workshops? Who would you recommend to visit it? 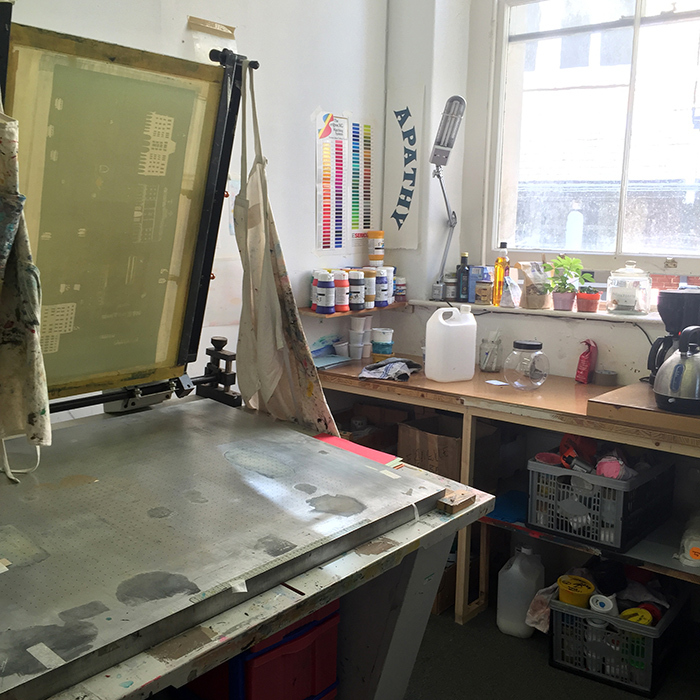 I run screen printing workshops for beginners in my small studio which fits three people. Often the group will know one another, but other times it may be A level students, or artists working in another area, wanting to add another skill to their bow. I run people through the basics and help them produce a three colour screen print. Its a really fun day, and would recommend it to people who want to learn a new skill and perhaps seek advice on setting up a basic set up of screen printing in their own home. 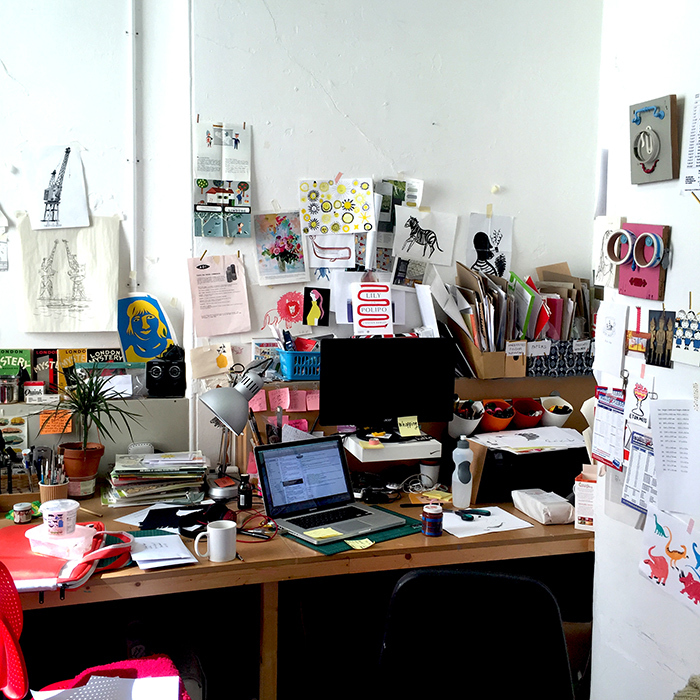 What is a typical day of an illustrator and printmaker? Do you have a strict schedule or daily routine? I am a big list maker! I tend to split the day up, often emailing and fulfilling orders in the morning, and then finding time for ideas, drawing or more mechanical activity like screen printing in the afternoon. I do find myself managing my time well, since having a child I think I’ve got better at it then ever before, so yes I would say I am pretty strict, since time is a real gift these days. Matisse, Paul Rand, and Saul Steinberg. Would you mind sharing a list of your top graphic designers in England? Its so hard to choose, as work talent around the World keeps getting better and better, but I think at the moment for me it would be..